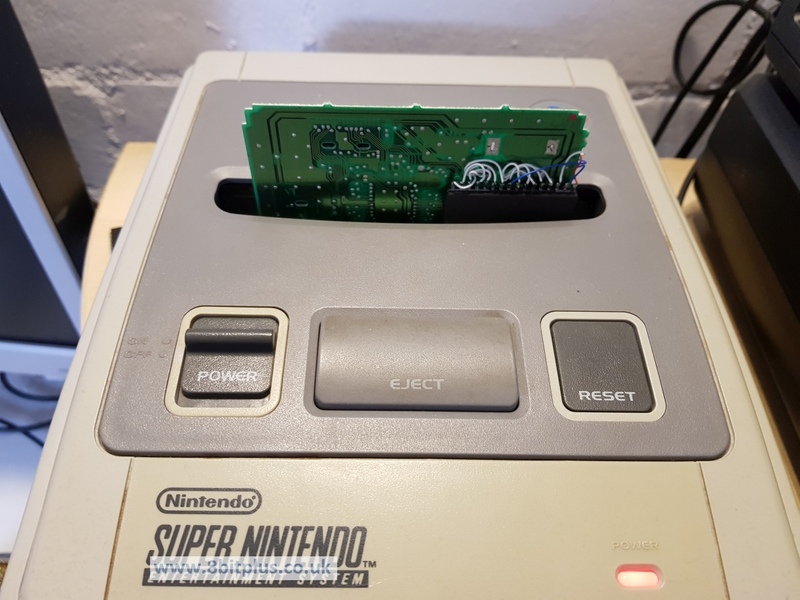 My homemade DIY Super Nintendo (SNES) reproduction cartridges. 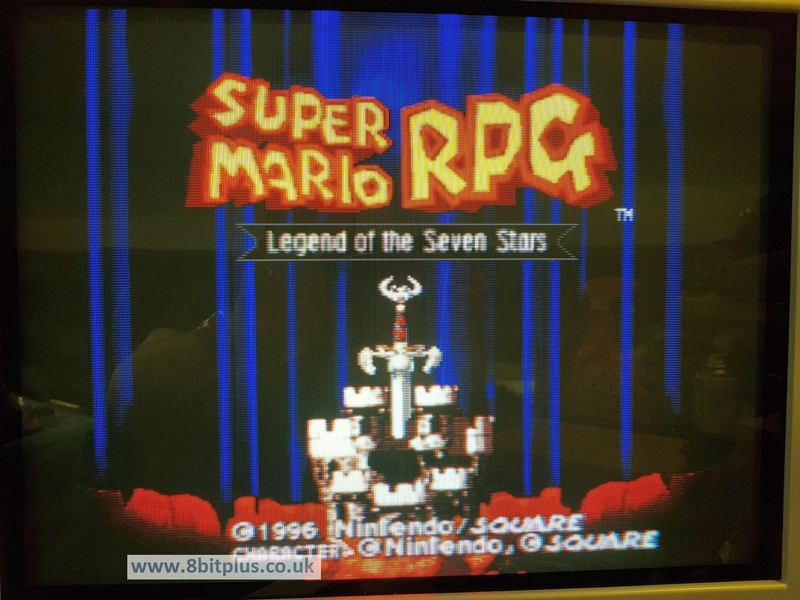 Information on making your own copy English copy of Mario RPG and Star Fox 2. Tools equipment required. I’m sure this is a controversial subject with most steadfast retro collectors, including myself, but bear with me on this… You can make your own flashed reproduction games at home and play them on the original consoles just like the originals. 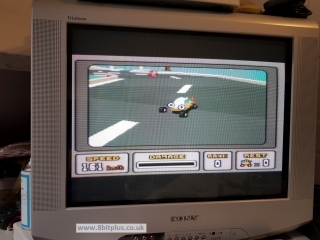 Surely that’s what Everdrive is for? Well, yes that would be my first option to playing ROMS on the real hardware too. The thing to remember though is that not all games can be played on Everdrive or other flash ROM devices. 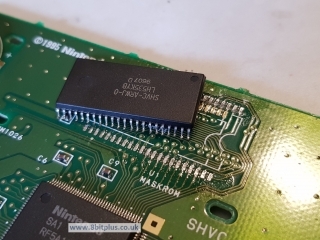 Nintendo and other developers often included special chips and processors in high-end games that needed more processing, graphics or math calculations than the Super Nintendo console could provide. 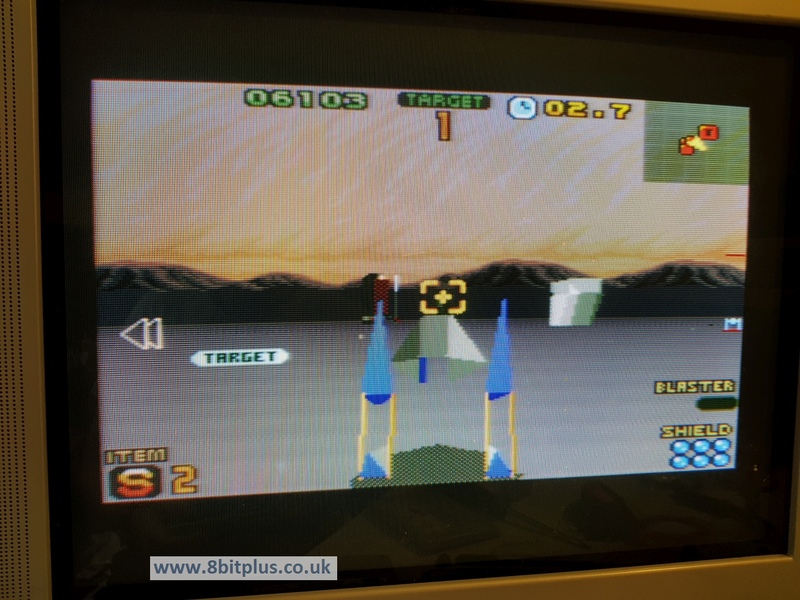 Games like Star Fox for example cannot be played on Everdrive due to the missing Super FX chip. 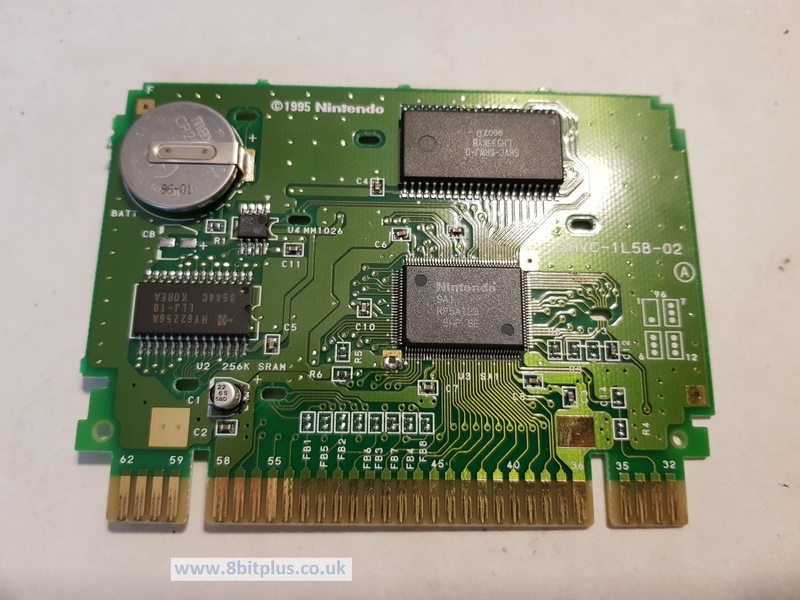 Some games that use special chips can be very expensive and out of reach of for some collectors, and players who enjoy playing on real hardware. So how can I play these games? 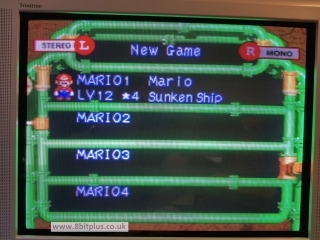 In the past the only option was either emulation or the original cartridge. 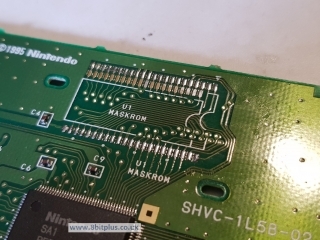 The next option is to find or make a reproduction cartridge by modifying an original Nintendo game PCB containing the correct hardware, and replace the game ROM with the game you want. 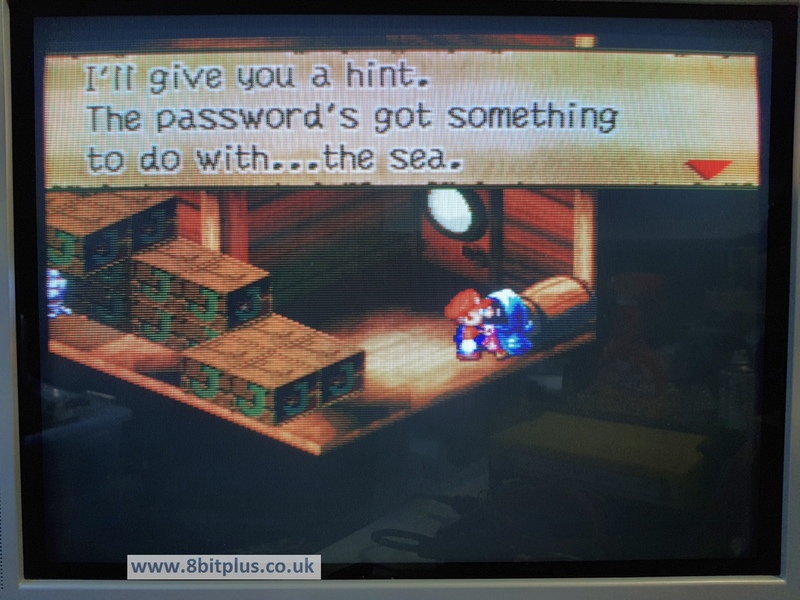 This method can also be used to make translations of games that never launched in the US or Europe. You mean I have to kill a working game to make another fake one? Basically yes. The point to make here is that some games containing the chips are common and vastly cheaper than the rare ones. I would never condone destroying a rare game to make another one. Won’t people just sell them as originals? Sadly this could happen yes. Nothing We can do about it. Just don’t sell on your reproduction cart as an original, or pay high prices for one. If handled correctly it shouldn’t affect the value of the original games as collectors will always want the real thing if possible. There will always be some unscrupulous eBay scammer ready to make a profit. 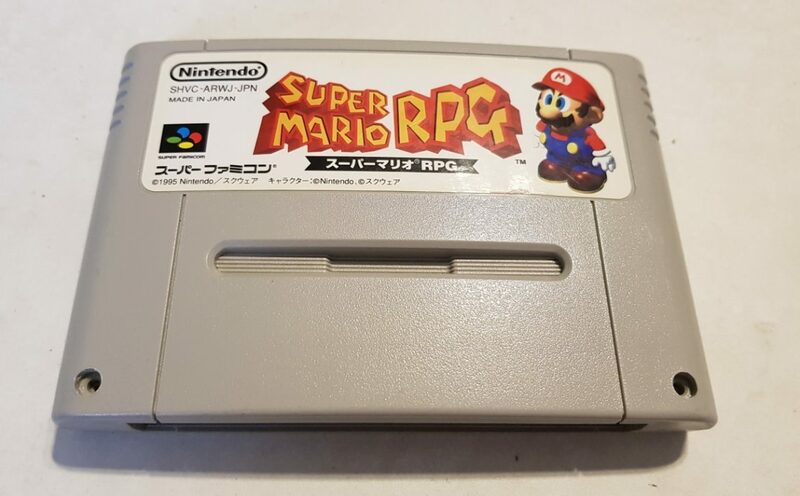 Mario RPG is a prefect candidate for making a repro cart. It was launched in the USA and Japan only, not anywhere in Europe. The US copy’s sell at a very high price, often over £200. Where-as the Japanese copy is very cheap. I picked one up for £8 on eBay. The low value reflects that its harder for most people to play in full Japanese language. The NTSC JP game would also need a modified SNES to play. Mario RPG cartridges contain an extra chip called the SA1 (Super Accelerator 1). The SA1 is actually a second, faster and much improved CPU. 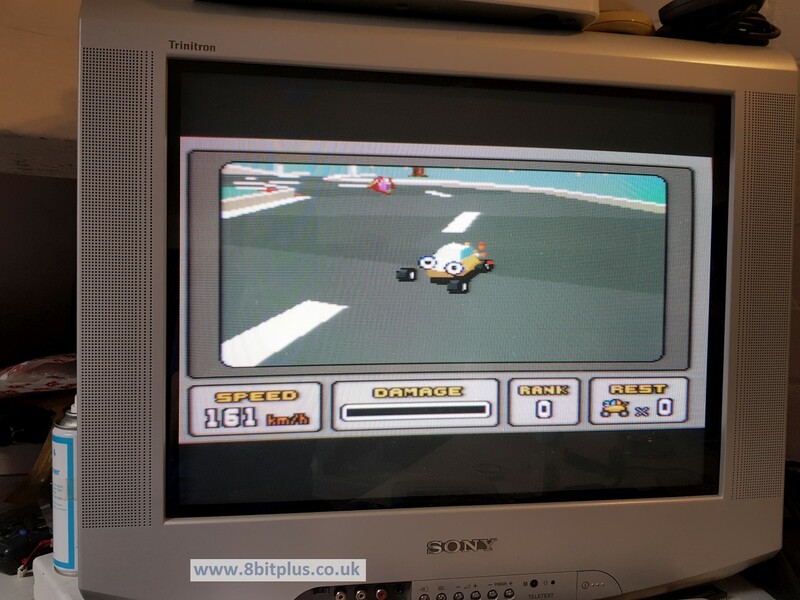 It’s clocked at 10.5 MHz so handles general calculations much faster than the SNES on-board 3.58 MHz CPU. 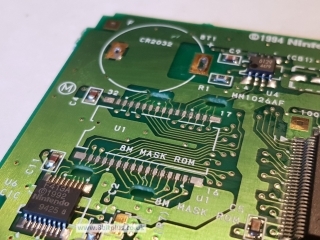 SA1 also provides Memory mapping, DMA and decompression in hardware. It was used in about 30 titles. 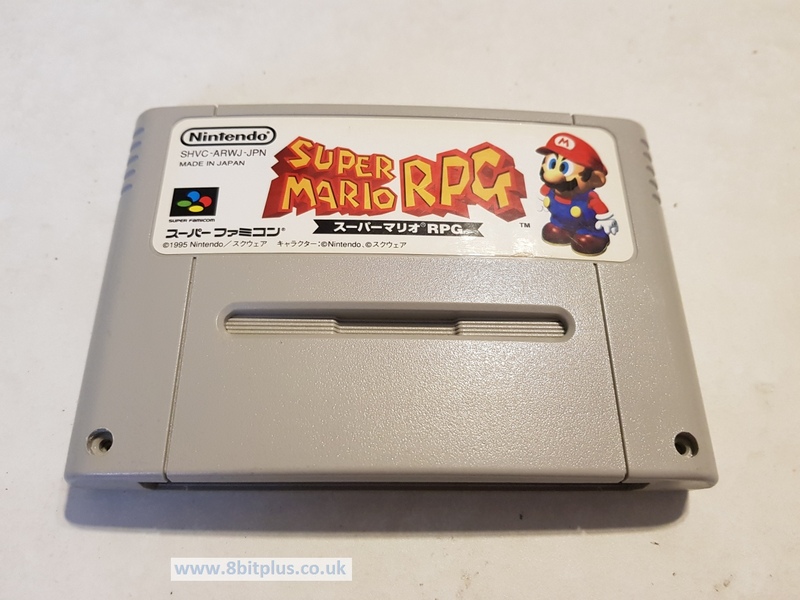 The Japanese version is a perfect donor. 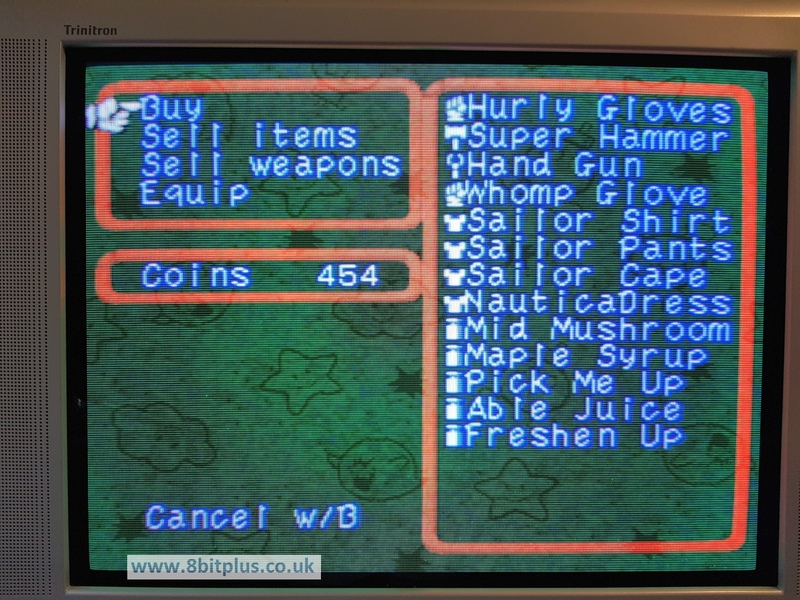 Some of the other SA1 games don’t have the right amount of SRAM, or now battery backup that Mario RPG needs. 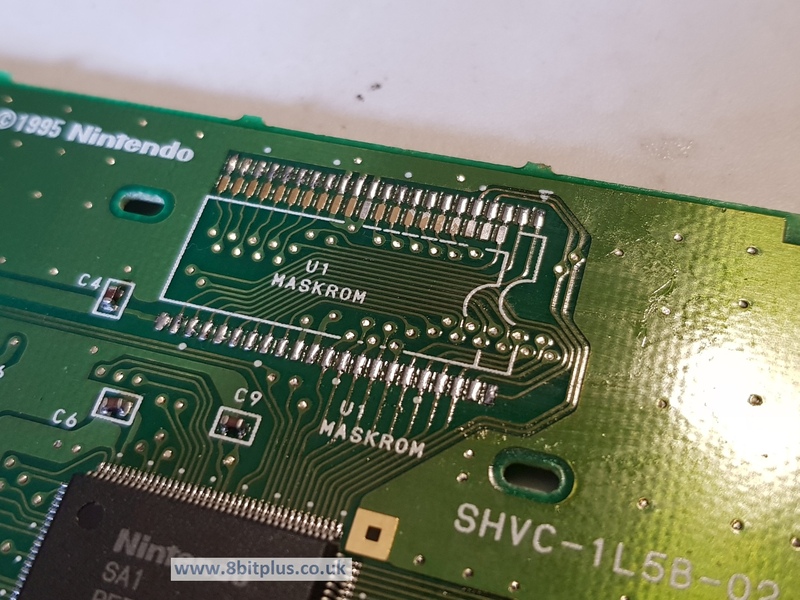 I removed the original Mask ROM chip, cleaned the pads and added some fresh solder ready for the new EPROM. 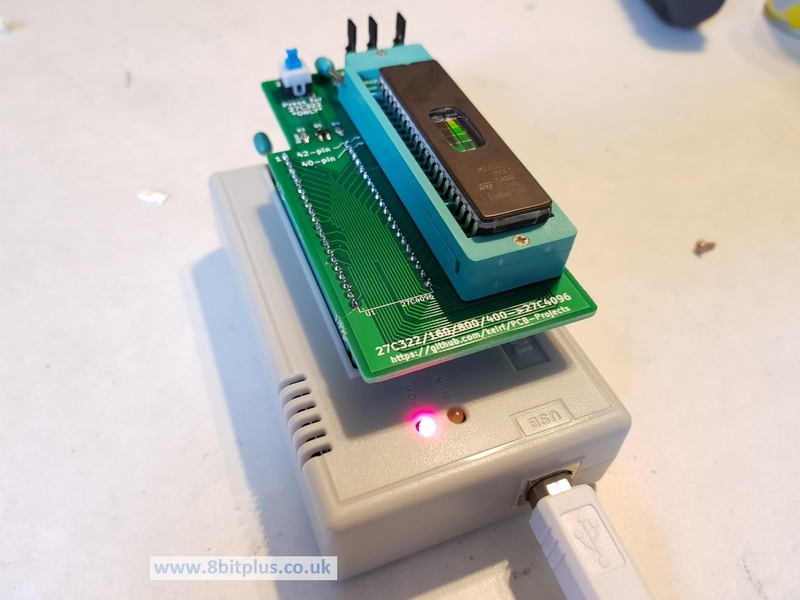 You need to program a 29L3211 or 27C322 EPROM chip with the US game data. Sorry I cannot provide this here. 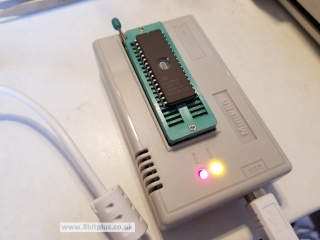 I went with the 27C322 option for my build as my programmer is not compatible with 29L3211 EPROMs. This chip type requires more wiring, but no power conversion. With this being a Japanese NTSC game originally, it wont play on a PAL SNES. 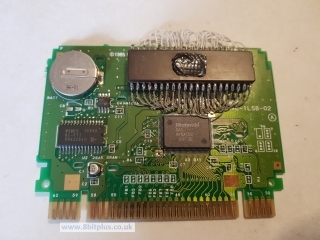 The SA1 chip contains the CIC region protection component, but can be flipped between PAL and NTSC. 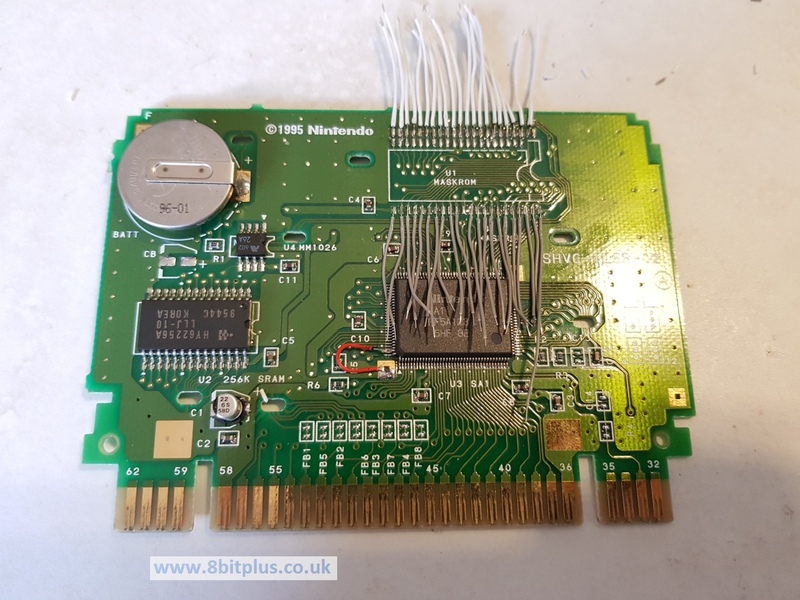 If you need this to ply on a PAL console, Lift pin 127 of the SA1 and connect to 5v. I might try adding a switch inside the cartridge for this later. 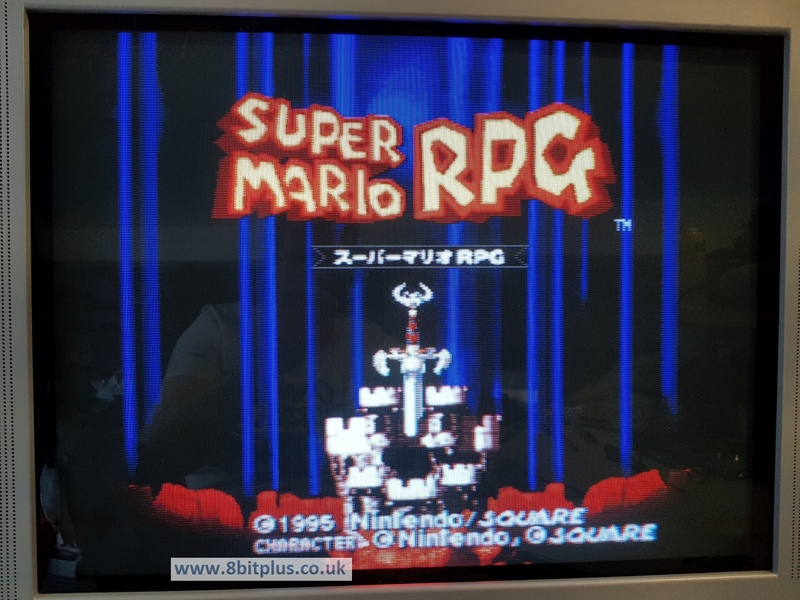 My SNES already has the SuperCIC modification so I left it set to NTSC for now. 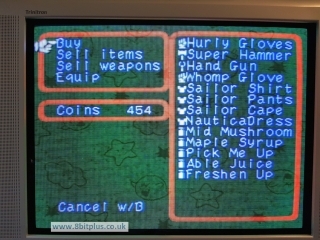 So there we have a working English copy of Mario RPG ready to play without getting a second mortgage. Cost of material was around £14 not including the EPROM programmer. This is a Super FX game that didn’t ever get launched officially until Nintendo surprised the world in mid 2017. 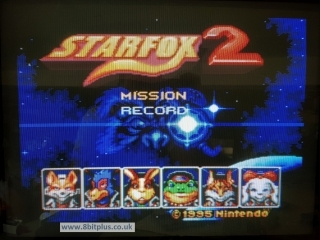 Nintendo announced Star Fox 2 was to be included with the SNES Mini retro console. The game itself was already 99.9% complete by its development team. Only requiring a few bug fixes and regional translations, it was ready to start production. 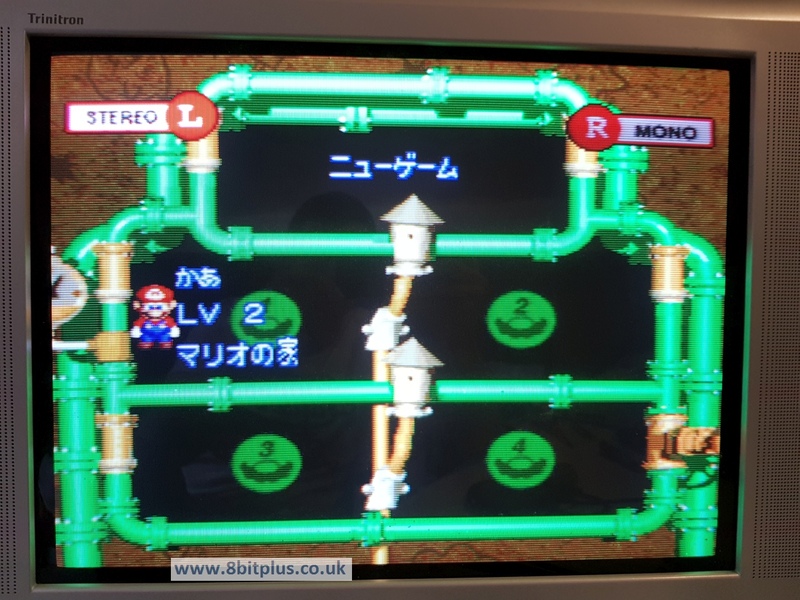 Nintendo decided a release of this 3D game would not look as good as the competitors Sony and Sega, who already had new 32bit consoles out in japan. Luckily the finished ROM leaked out and we got to play this gem with emulation. There are a couple of choices when locating a cart to play Star Fox 2. the first thing to mention is you don’t need a “Super FX 2” game donor cart like Doom or Yoshi’s Island. In fact there is no Super FX 2 chip at all, these games just use a slightly updated version of the Super FX chip called the GSU-2. 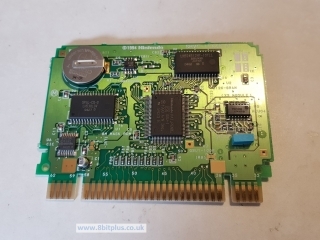 The only difference is it can address larger ROMS than the GSU-1 found in many FX titles. Any Super FX cartridge can run Star Fox 2 if it has enough SRAM (512kb). There’s no advantage performance wise to using the GSU-2 found in Doom and Yoshi’s Island. Both run at 21.5 MHz. I’d recommend not using Doom or Yoshi’s Island as they are good games and becoming too rare nowadays. 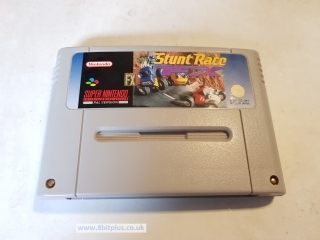 Instead I’d recommend using a copy of Stunt Racer FX as its cheap and easily obtained. 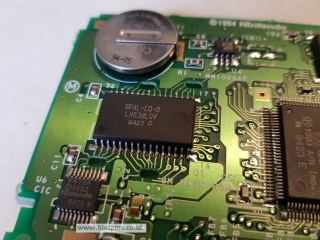 Again I removed the original ROM chip and flashed its replacement, a M27C801 EPROM. Make sure the ROM is without header before flashing. 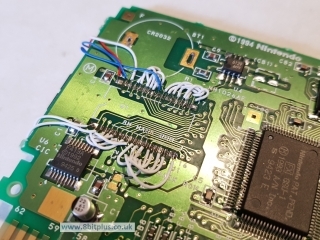 bitswapping is optional and only affects the wiring layout when installing. 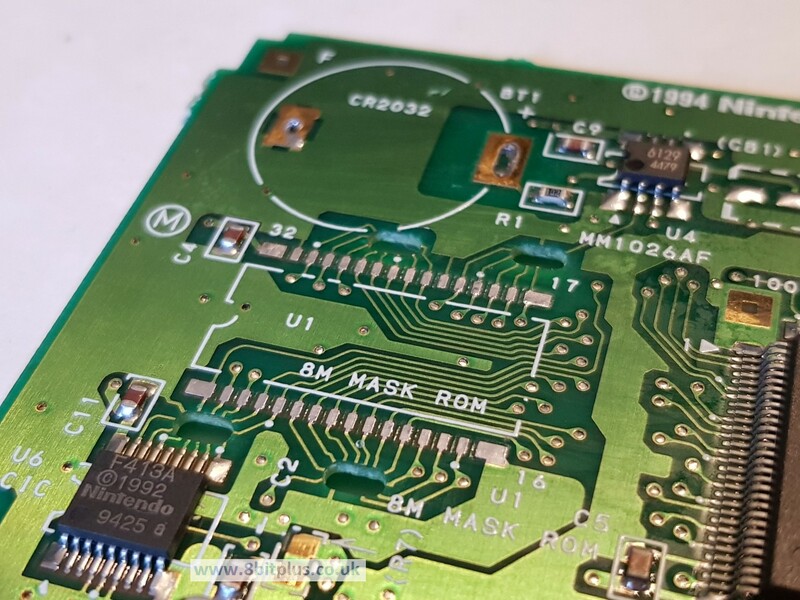 You might have already spotted that this chip is larger than the original ROM chip. It’ll need connecting with wires. 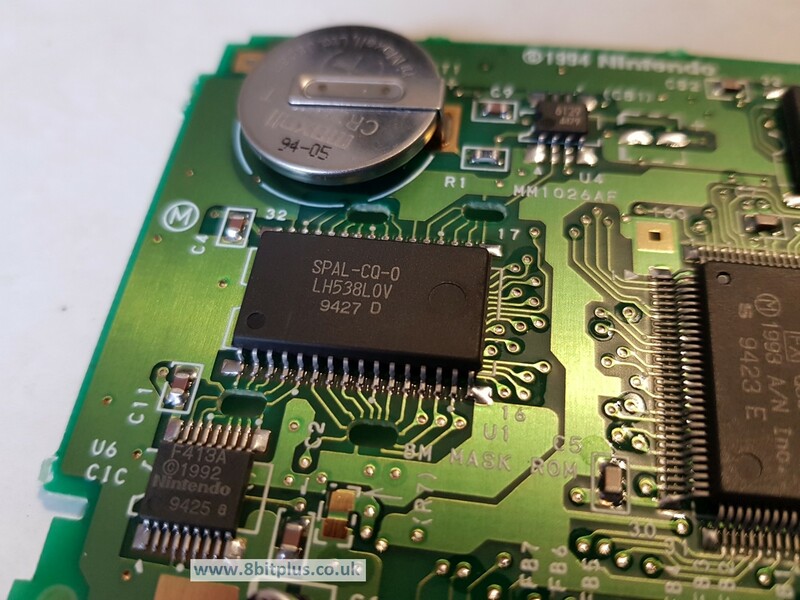 You can locate the EPROM on either side of the board. I found it easier to install on the reverse. 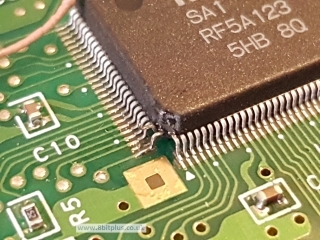 All of the wiring is straight pin-to-pin except for pins 31 and 24, which are swapped. 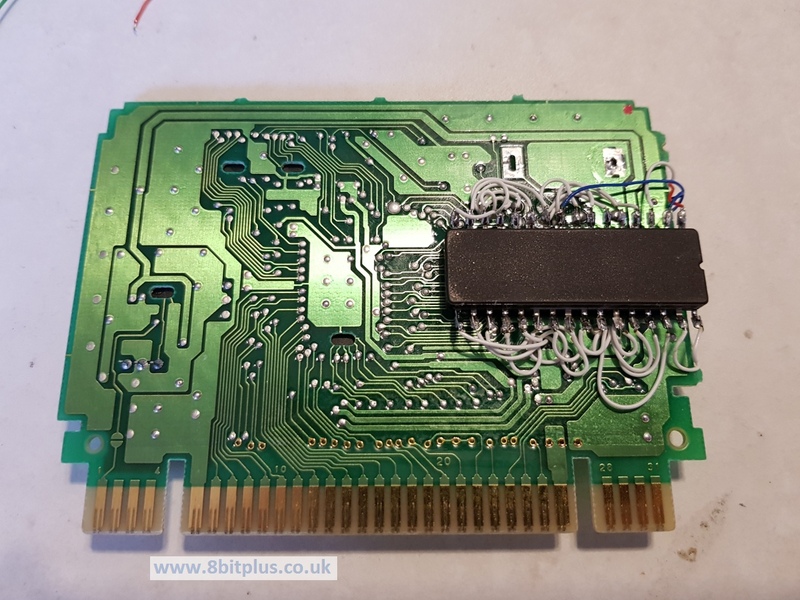 If you decide to use a PAL PCB for this conversion, the game will be locked to PAL region and 50Hz video because of the CIC chip. 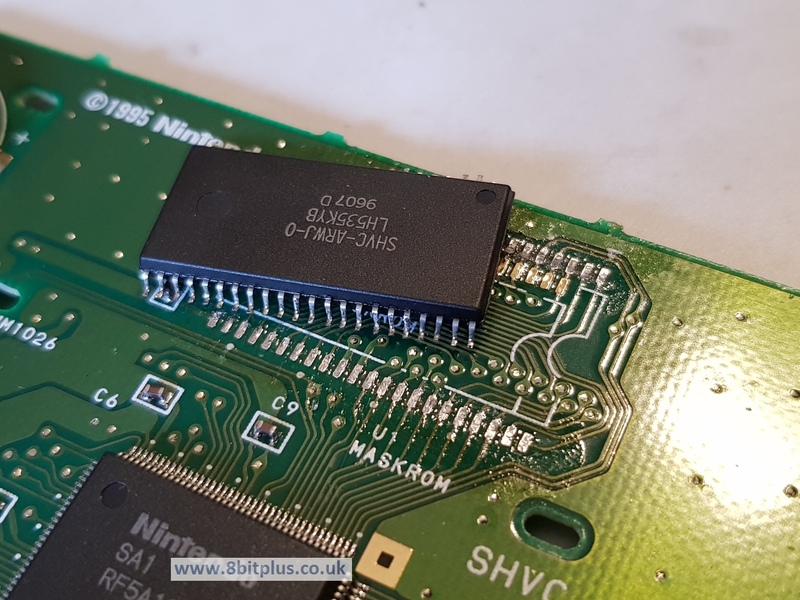 If your SNES is SuperCIC unlocked than this is no problem. 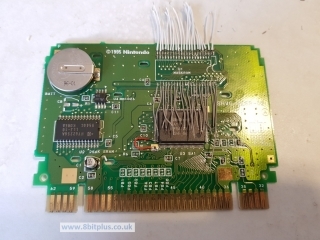 Otherwise I’d recommend doing the SuperCIC “key” mod on the game PCB while your at it. 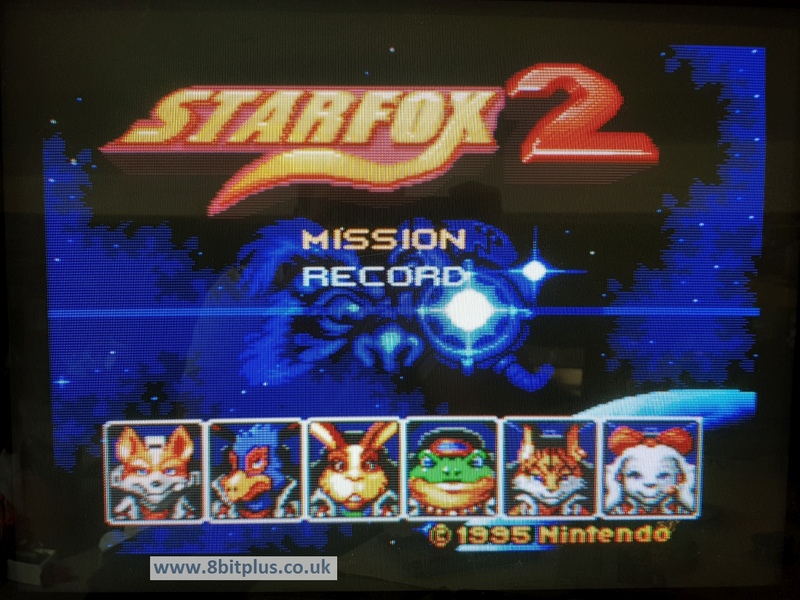 So that’s a working copy of Star Fox 2 for Super Nintendo. Amazing game. I love the 360° space combat and first appearance of the land walker stages. Sad it was never released until 2017. 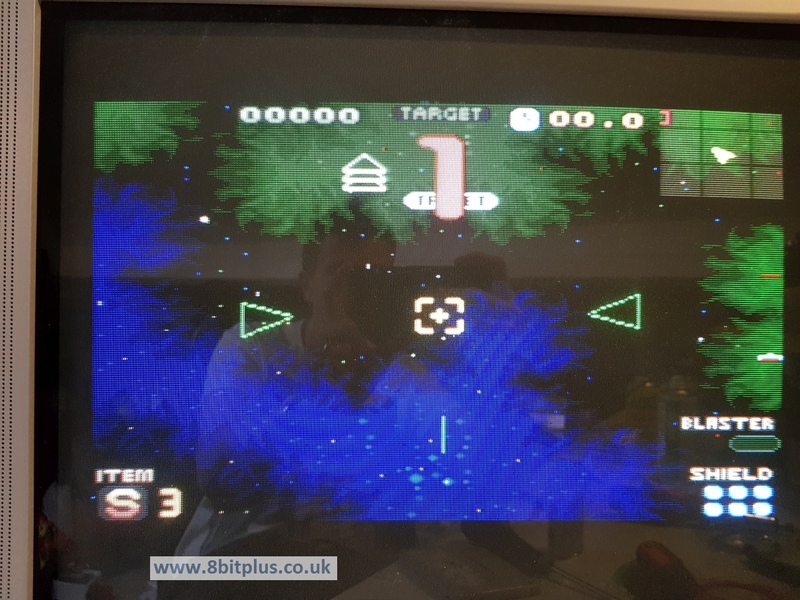 I’ve seen so many copies of the above mentioned games for sale on eBay recently. 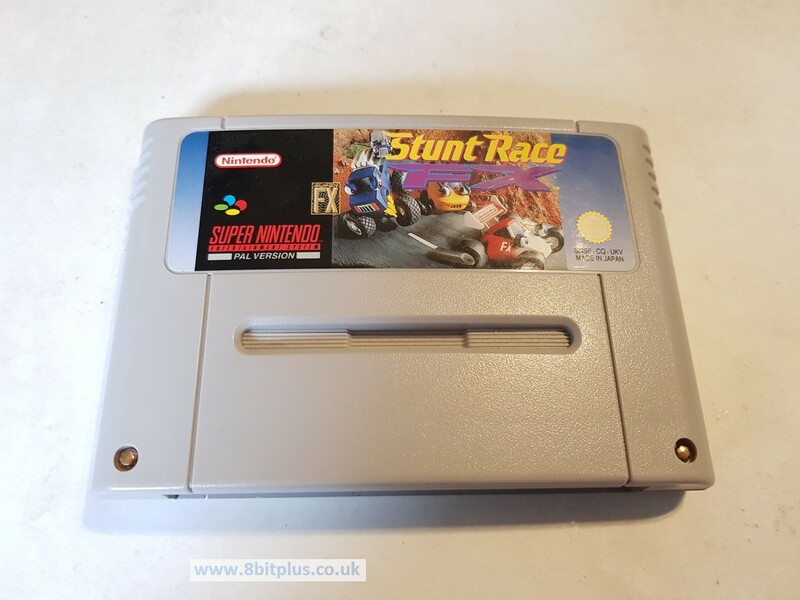 I do not condone anyone making a “repro” cart for profit, especially when the sellers offer it as an original title making no reference to its origin. As I mentioned in the beginning, I don’t think this practice will have any affect on the value of the original copy’s of titles like Mario RPG. I also see no problem with people making a repro for themselves or a a technical exercise like I did, as long as its not sold on. 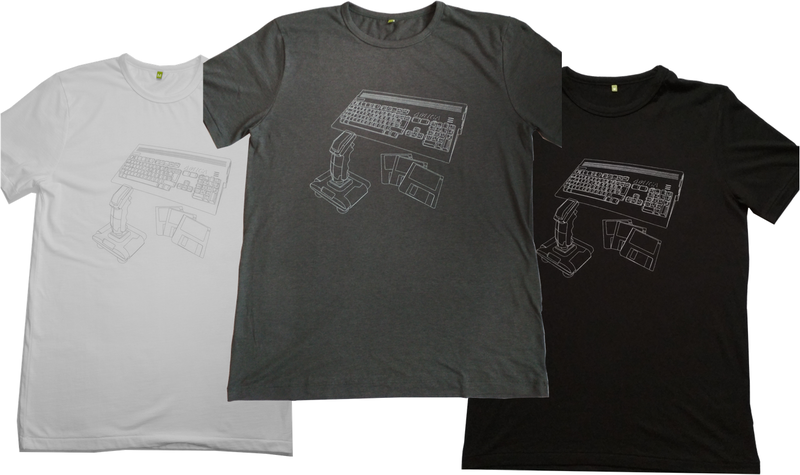 Please leave a comment below, but do not contact me to place orders for reproduction games.